Improve your game, strategy and fitness—and return from your Anguillan vacation as a true tennis ace. 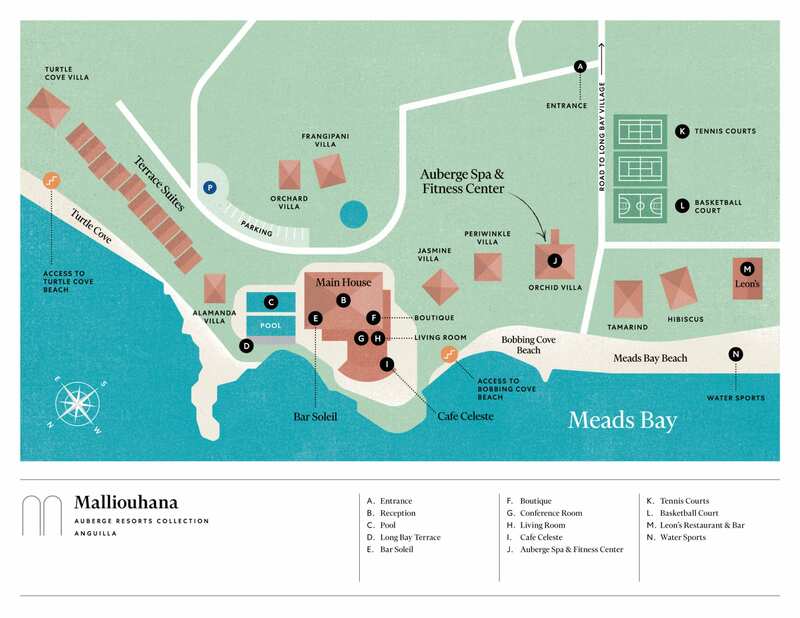 Tennis novices and experts alike can enjoy Malliouhana’s two hard courts, conveniently situated just across the road next to Meads Bay. Whether you’re new to tennis, or an expert, a private lesson is the best way to begin or improve your game. Enjoy a private or semi-private tennis lesson or hitting session with the resort’s own tennis pro, or enjoy one of the weekly scheduled clinics. Courts can also be reserved for day and night play up until 8pm.